The Phytobiomes Roadmap has been published by a team (the Phytobiomes organization) led by Iowa State University. The Roadmap lays out the vision for agriculture to increase health, productivity, and sustainability of current cropping and forest systems and outlines a strategic plan to acquire the knowledge needed for the vision to become reality. The Roadmap calls for better understanding of how all the components of a farm – the crops, plants, microbes, animals, soils, and climate, collectively called the phytobiome – interact and affect each other. The resulting “map” will then be turned into crop management tools that will help global farmers produce a sufficient supply of food, feed and fiber to meet global needs in the future. 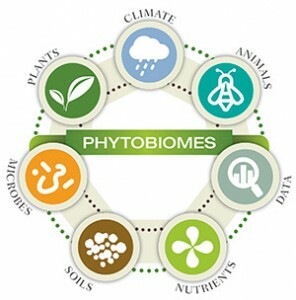 “The Phytobiomes Roadmap provides a vision of integrating the many diverse components of agroecosystems, including the environment, all of the macroorganisms, and the microorganisms, into a systems-level understanding” said Gwyn Beattie, Professor & Robert Earle Buchanan Distinguished Professor of Bacteriology at Iowa State University and co-leader of an initiative on phytobiomes. Interactions within phytobiomes are dynamic and complex. As such, the Roadmap advocates for a systems-level understanding of all the phytobiome components and proposes to bring together current approaches. 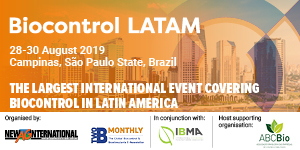 Should this occur, the project should be able to positive affect crop health and yield but initiative leaders stress for success to be won, there will need to be international collaborations of scientists with diverse backgrounds participating in the project. 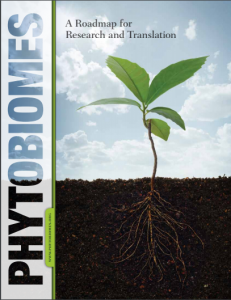 According to Beattie, current technological developments – such as advances in genomic technologies, computational sciences, system-level approaches and precision agriculture – are enabling unprecedented insights for probing the complex interactions within phytobiomes. These technologies are providing extensive biological and environmental datasets. The Roadmap proposes to integrate these “big data” into predictive modeling systems to provide critical information to drive agricultural innovations.